Thanksgiving just doesn’t feel like Thanksgiving if there isn’t a huge plate of creamy mashed potatoes on the table. Filled with butter, cream, and more butter and cream, it’s not exactly the most waist-friendly dish when you go in for seconds. A simple way to lighten up the dish without sacrificing flavor is to be picky about what variety of potato you use. Instead of oft-used Russet potatoes, go for Yukon Golds or Yellow Finns. 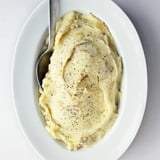 It might seem peculiar that switching out the type of potato makes a difference, but these smaller varieties are naturally creamy and sweet, and their skins taste like butter, which allows you to cut down on the amount of butter and cream you would normally add to the dish. When shopping for Yukon Golds or Yellow Finns, look for smaller ones that aren’t much bigger than one inch in diameter. Also, the more yellow the potato, the better: it’s the vitamin A contained in the skin that give these potatoes their golden hue. 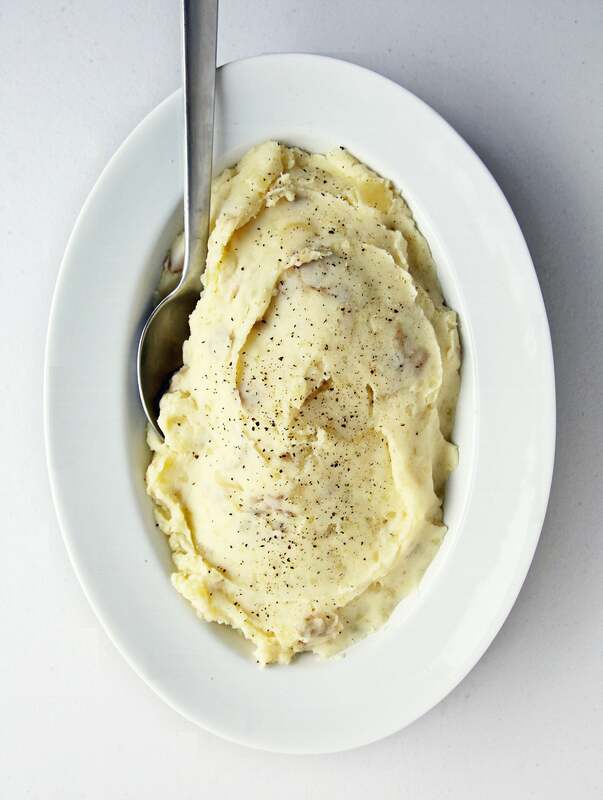 There’s potassium in the skin too, so when making your mashed potatoes, don’t peel! Since the skins are pretty thin in these potato varieties, they won’t detract from the creaminess of your dish when you leave them on. For added nutrition, add sweet potatoes to mashed potatoes. Substitute reduced fat or lowfat milk for the cream, or try making them with evaporated skim milk instead. Cut back on salt by seasoning mashed potatoes with garlic, onion, and herbs. Omit dairy altogether and mash in chicken broth instead. To lower the carb counts in your potatoes, substitute some cauliflower for the potatoes in the recipe.